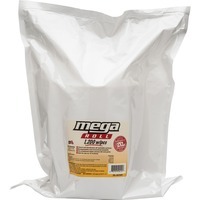 GymWipes Mega Roll kills 99.9 percent of bacteria in 15 seconds. FDA approved towelettes are phenol free, alcohol free and bleach free. Each large perforated wipe measures 8 x 8.